As a millennial interested in marketing, I figured I knew what search engine optimization was all about. After reading our eBook on common mistakes companies make when incorporating SEO into a website redesign, I realized I was quite unaware of the depth of this tool and how to best utilize it. I've pulled out the biggest no-nos that most surprised me which may help save your website from functioning under the same misconceptions I did. 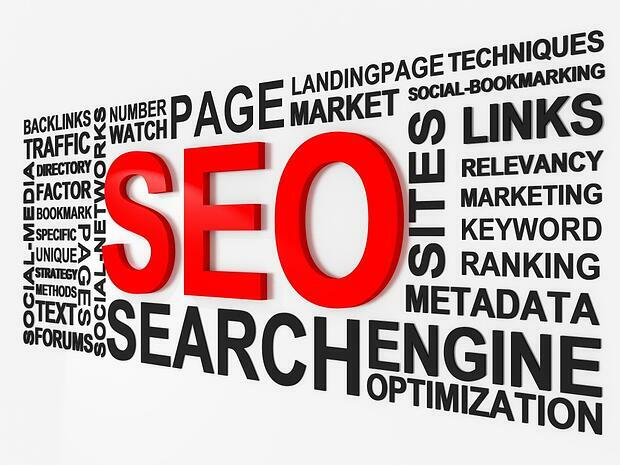 If you have a basic understanding SEO, you know that it's an ever-evolving phenomenon. Similarly, you know that its complicated nature makes it tempting to just hire someone to take care of it for you (know what to be weary of with outsourcing this with our blog, "Red Flags of SEO"). That being said, knowing the current state of your performance and being able to analyze it yourself can keep you ahead of your competitors and perhaps get your site to have more visibility in Google. A risk-free first step in your inspection is to test your website's effectiveness. You simply plug in your URL to marketing.grader.com which allows you to see your website's overall grade and then offers further suggestions for how to improve your use of keywords. Another tool, WebPageTest, works similarly and Moz.com directs your attention to specific numbers on the webpage test that will help most. After a website redesign or update, you should know how your site looks from a search engine perspective and set up your server-side 301 redirects. If you haven't paid attention to invalid pages from your former site, a web user could click on a link to your site from a search engine and end up on a 404 “Page Not Found” error message screen, as seen below. After this, they'll most likely give up on you and move on to more trustworthy sites. Mistake 4: Using a "_" Instead of a "-"
Who would have thought that a dash versus an underscore could make all the difference? Use dashes in your URL for better traffic from search engines. Google treats a dash as a separator and an underscore as a connector: therein when you use a dash, someone who searches for a single word OR a group of words will be lead to your site whereas if you used an underscore, the searcher would need to type in the full connected phrase to match with your URL. A commonly-used trick is to have backlinks (or "inbound links") connected to your site, driving more traffic from other sites. However, this can also go too far. Your visibility can be lowered if Google concludes that some of these links are not quality ones. Using Google Search Console can help you decipher the good from the bad and tell Google which links it should neglect. A standout theme: with SEO you can't assume too much but rather, you should pay attention to its constant evolution. We definitely recommend you dive deeper into this with either our eBook, a consultation with an expert, or even just by reading some of our blogs - like this one featuring one of the more nuanced qualities of the tool, searcher behavior. Moz.com also offers an updated 2015 Cheat Sheet, and you could even check out the Official Google Blog for more frequent updates. All in all, it can be your best friend or your worst enemy, but you'll have to fully dive in to avoid the latter.